We all knew that there would be zero bipartisanship this Congress. We started the year with the government in a shutdown over border security. House Democrats retook the majority in 2018. They’re in no mood to play ball with the Trump White House. The fight is over a mere $5 billion for part of the border wall. Reportedly, Trump offered to re-open the government if he got some of the money. Democrats rejected it; they’re more concerned with scoring points. Yet, as the Democrats suit up for battle against the Trump presidency, their left flank could cause trouble as well. Rep. Rashida Tlaib (D-MI) was the first to come out swinging, saying that they’re going to impeach the mother**ker, referring to Trump. Democrats were supposedly livid that Tlaib blurted this out. For weeks, top Democrats went on air saying downplaying the impeachment talk, and this happened. Frankly, it’s very possible that Democrats were made with Tlaib because she blew the non-surprising revelation that liberals want to remove Trump from office. 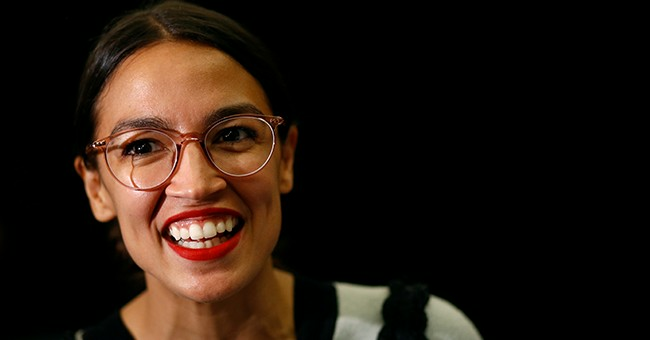 And now, they’re trying to rein in Rep. Alexandria Ocasio-Cortez (D-NY), who dropped a doozy, saying that it’s better to be morally right than factually correct. Well, good luck with that. She recently referenced Alan Moore’s Watchmen at the suggestion the party bigwigs are trying to tell her to tone it down. We shall see how this turns out, but the fear of mean tweets, the grassroots energy, and all-around “come at me, bro” attitude Ocasio-Cortez channels is very much like the man in the Oval Office. The exception being that Trump’s agenda is about growing the economy, creating jobs, and protecting the border; AOC’s agenda is economic death. She could flame out. She could become a total pariah on the Hill. Whatever the case, I’m hoping she continues to give her own side heartburn..for now.